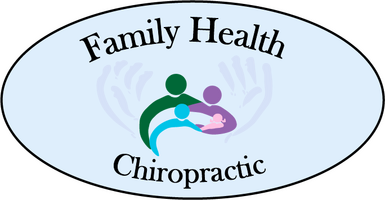 Family Health Chiropractic - Norman | Dr. Kelley Butts, D.C.
Our Mission: To help as many people as we can.... especially children. Do babies even need chiropractic care? See what our patients have said about us or give us your opinion! It's far better to grow healthy children, than it is to fix broken adults. That's why our passion is helping moms, babies, and children. We want the next generation to arrive healthy and grow their best. Dr. Kelley is both professional and caring, and his staff is the best! I have been going in for adjustments for many years now and wouldn't change a thing. They are very communicative and supportive. I highly recommend Family Health Chiropractic! When I first started working in an office, sitting in my chair for hours on a daily basis really took a toll on my back. By the end of the day I was in a lot of pain, to the point where I couldn't do much once I got home. I also had an old strain in my leg that hindered me from a lot of physical activity. I started seeing Dr. Kelley, who took the time to explain not only the issues I was facing, but what chiropractic truly is and his mission. I trusted him after the first visit and I was excited to go on this health journey with him. After I started treatment with Dr. Kelley, I started feeling better, not only had my back pain subsided, but the strain in my leg no longer hurt me! I feel so much better now that I have continued my treatment and gotten to a point where I am simply checking in to make sure everything is still in place. However, I love coming in just to say hi to the wonderful doctor and his assistants. Thank you SO much for all you have done for me!